Kmart Catalogue home sale and apparels which can be viewed on the preview page of ours. Kmart offers a great sale of these products and you would be saving if you shopped at Kmart instead of anywhere else for the kind of products. Go to a shopping centre of Kmart Catalogue and discover a lot of beauties and recover yourself from spending a enormous amount of money. Kmart created it for this purpose. Underwear sale of Kmart is perhaps the most popular in the whole product range. See the new Kmart women's underwear section on pg; 14 for the best price and top quality. Fleece wear offers on pg; 16&17 might be a good option for the young customers who are in search of good and quality wear for winter. Women's boots and shoes are seen on pg; 20. New irresistible price range of the Kmart is featured on this section. Go to this page for the detailed information and the images of the products. Kmart kitchen products are available on the latest catalogue. Kmart offers fry pans, blenders, food processors, sandwich press and similar sort of products that you can view on pg; 18&19. Kmart fry pans are available on pg; 18. Generally Tefal fry pan varieties are sold at Kmart stores with these catalogue prices. On the official page of Kmart you can watch a video about Tefal fry pans. The price for Tefal fry pan is $29 but this can vary upon the size of the fry pan. Please go pg; 18 for the details. Toasters, and waffle maker are featured on pg; 19. Check out this new sale of the Kmart Catalogue. Kmart has got good looking stuff for your kitchen. These products are both good looking and well priced. You will love the prices and looks of the items which can be found at the Kmart's catalogue. These prices are valid until tomorrow. Even more products are featured on this catalogue. Servingware and glassware items are sold on the pg; 22-23. Please go the preview for the closer look on these products. Kmart kitchen ware catalogue prices 18 May 2015 which you can see on the latest post of the category of Kmart is a factor which will make you save a lot on your home shopping. Kmart catalogue contains important products to set a real comfort in cooking in your kitchen. Kmart kitchen ware catalogue prices 18 May 2015 has fry pans, toasters, kettles, mixers, blenders, glassware, cook pots, chopping boards, microwave ovens, servingware, mugs, soup plates, food containers, towels and a lot more than these for your house. Entire house needs of yours might be completed with using the latest Kmart Catalogue. You can check out the preview of these products. Use the link on top of the post. Cool products of Tefal with non-stick surface and great prices of Kmart Catalogue are shoppable at this moment. These prices are valid through 3rd June 2015. Tefal 30 cm fry pan $29 pg; 18. Some of the products from this aisle is on sale at Kmart until 3rd June 2015. Check out new products on pg; 20. This product is very useful in heating your meal as well as cooking. You can make a pizza with this device. Microwave is very useful if you need a fast heat for your meal. Very good products to cook a large quantity of meal. pg; 21. They are in black looking very modern and cool. They are made of glassware and stainless steel. Forks, spoons, glasses, dinner plates, side plates, bowls, mugs, knives, are in this set. Storage products, food containers and other essentials for food are available in latest Kmart kitchen ware catalogue prices 18 May 2015. For more of the home appliances catalogues please take a look at the tag. Enter Kmart's world of home products with these catalogues. They got always brilliant offers for all. Kmart catalogue home sale 14 May is a great list of products like appliances, kitchen ware, sports products, shoes, entertainment and electronics, stationery and office products, beauty and in general this is a great home sale ! 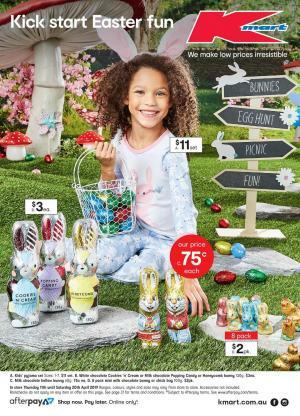 Take a look at full sale of Kmart Catalogue. It cannot be passed that lighting is a very important factor in decoration of bedroom, living room, hall and even outdoor. Because of this importance you might need high quality and fairly priced products of lamps, and of course accessories of decorative theme. In general categories are bedding, kitchen, decoration, bathroom and laundry essentials. Bedding range of Kmart Catalogues generally introduce us quilts, quilt covers, blankets. These are the ones which most customers are looking for in order to set a real comfort in winter. Check out these prices by Kmart Catalogue Home Sale 14 May ! Check out pillows and sheet sets on pg; 9. Beautiful blankets for winter on pg; 6&7. Kids' bedding products on pg; 10&11. Storage and sheet sets for kids room pg; 12&13. To add color in your house you need some kind of accessories in most cases. Kmart offers prices you will love in this section. You can reach a very nice product selection of accessories. Kmart became an icon to shop for the lowest price to me. Wall art and other living room accessories on pg; 15. These two categories are finishing touch to your combination in especially living room. Floor lamps would go with everywhere. Use them in your bathroom, bedroom, hall, outdoor. They won't look weird. Also you can use table lamp in places like working rooms, dining rooms, but mostly they are kept in living room or guest rooms. We will continue with Kmart kitchen products and laundry in the next post. Save more on boots, winter clothing, coats and do this with the Kmart Winter Clothing catalogue offers which are available in pg; 8&9. Trend products are priced at the values you love. 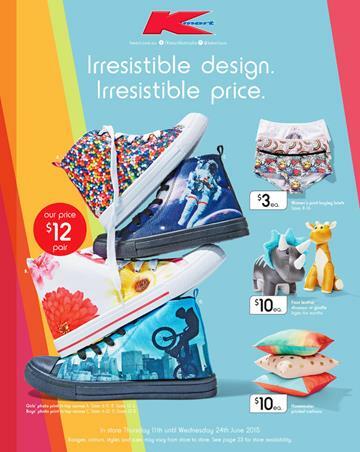 Kmart's irresistble price range is seen again on these pages. After these two pages you can discover new low prices of Kmart for the boots, high heels, flats, shoes and jeans on pg; 10-11. I loved the accessories and Autumn fashion shirts for ladies on pg; 12&13. It is even more like winter fashion. Workwear fashion can be observed on the details of the shirts on pg; 12. Accessories on pg; 13 are perfect gifts for Mother's Day. Scarf, a shirt and Apple's iPod Touch 5th G are featured on that section. See also sleepwear products for ladies. Comfortable clothing and active wear are sold at Kmart stores with the special Kmart prices. This time you can see trackpants which are really comfortable compared to any other type of pants. And hoodie varieties on pg; 15 will keep her warm while looking great. Amazing offers of personal care products like hair dryer, hair straightener, mirror, bath light, and so on are featured on pg; 17. This catalogue also has prices for the baby clothing items. Offers are exhibited on pg; 19. New baby clothing range is worth to see. Active wear offers, which were mentioned previously too, on pg; 20&21. We will talk more about the Kmart's Winter Clothing but you may see the catalogue with simpler way. Shoes, flats, boots and high heels on pg; 11.